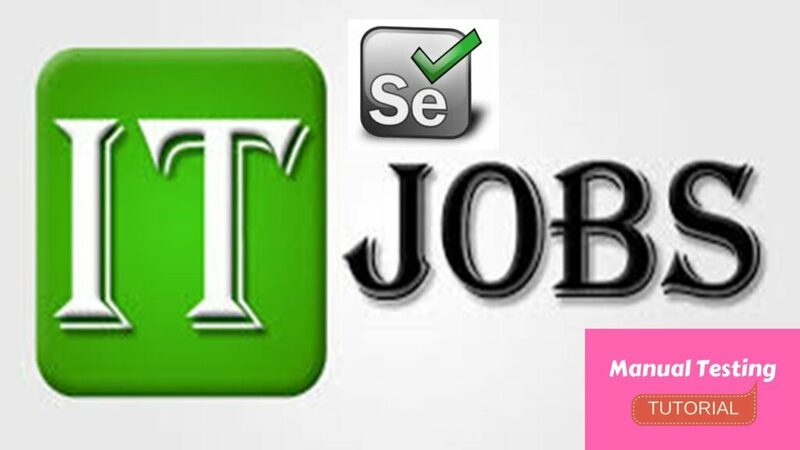 Fluency in automation tools such as Selenium, TestNG, JUnit, Jmeter, Appium, Cucumber etc.- – Hands-on experience in Automation Testing should be more than 5+ Years. Strong knowledge of software testing. Candidates with knowledge of automated testing will be preferred. Candidates with basic knowledge of a programming language will be preferred. Working knowledge of Web based application is must. Candidate should proficient in using testing tools like automated (QTP, Selenium, win runner, load runner) and manual testing. Analyze, design and build test cases based on system requirements and design specification. Understand the customer’s business processes and simulate end user behavior. Work closely with the client to decide functional testing strategies. Document any issues found in a bug tracking system with all pertinent details. Understand all components of the system architecture at a high level and isolate the components causing an issue, along with documentation of why you believe the issue can be isolated to the specific component. Any programming/scripting Language/Tools experience like Ruby, Java, Java script, Selenium web driver,JMeter etc. Strong Analytical/Logical skills. Nice To Have: Experience using Firebug, Fiddler, Charles proxy etc. SLA Consultants India is looking for a Software Test Engineer (Manual) . This individual will be involved in manual testing of web based application and Web Services. Individual will be responsible to developing manual test scripts. Responsible to executing automated and manual test cases. Generating reports such as defect analysis report, project status report, etc. Actively participate in requirement analysis and test design. Provide proactive advice and feedback throughout the software testing lifecycle for prevention and early correction of quality problem. Have good understanding of Software testing lifecycle. Should have Knowledge in various test development and design methodologies. Good working knowledge on Agile methodology and process. Salary: INR 2,00,000 – 6,50,000 P.A. Walk-in Date: 3rd April to 5th April & 8th April to 12th April 2019. Please do carry a copy of this posting/mail along with your resume. Knowledge in ASP.NET with C# | Dot Net Framework 4.0 and above | SQL SERVER 2008 and above. Knowledge/experience with QTP/tosca/ VSTS/ Selenium automation testing is preferred. Knowledge and experience in Manual testing, Security testing, Database Testing, performance – testing, QTP,Tosca and VSTS. Interested candidates can move to development team after learning the system. Company :Sheorey Digital Systems Pvt. Ltd.
White box and Black box testing. Preparation & execution of test plan. Preparation and execution of test cases. HAL Airport Road, Kodihalli, Bengaluru – 560017. Fresher’s / 0 year of experience, Any Graduate/B.E/B.Tech/MCA, Male Candidates only. QA Manual Engineer | Job Opportunity | AM Webtech Pvt Ltd.
Good experience or knowledge Manual Testing,Web Testing,Mobile Testing,SDLC,Bug Solving,Rest API, Test Cases Writing,JiRA etc. For Freshers Testing Certification is must. 6 Months Training in QA Manual Testing. Graduates can start their global IT career with HCL Nagpur. Interested candidates undergo training to prepare for opportunities in Software domains of HCL. This training program prepares graduates for career roles in Software domains of HCL. Post completion of the training program, you start your career with HCL in Application Development / Product Development/ Testing / Maintenance / Support roles spanning across domains such as Banking, Healthcare, Financial Services, Infrastructure Management and Engineering Services. The candidates must be having 65% and above in Graduation or Post Graduation, HSSC and SSC.